Chuck Wysocki first walked in the door of Monell in May of 1978. About to complete his doctorate in behavioral neuroscience at Florida State University, Wysocki’s goal was to obtain a post-doctoral position at the Center, and he was dressed to impress in a bright green leisure suit and wildly patterned paisley shirt. 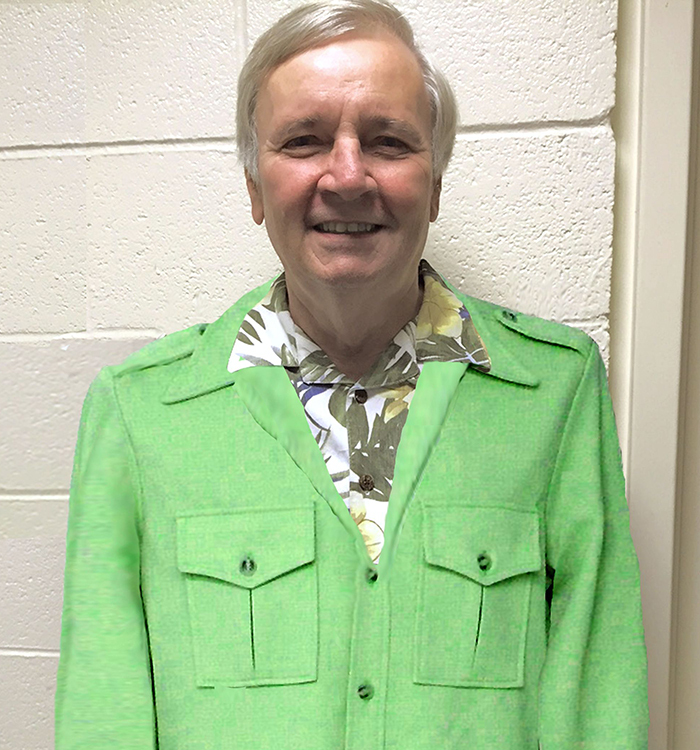 Now entrenched in Monell folklore, that green leisure suit may well have been a harbinger of Wysocki’s inquisitive and creative scientific mind. “Chuck is a smart ‘out-of-the box’ thinker,” says organic chemist George Preti, who has co-authored numerous papers with Wysocki over the past two decades. Wysocki’s dissertation focused on the genetic components of individual differences in smell – a topic then in its very early infancy that today continues to be a major focus of study at Monell and elsewhere. On that first visit he gave a well-received talk about his research, and – despite some doubts about his sartorial choices – was offered a post-doctoral position under the direction of Gary Beauchamp. What started out as a two-year post-doc turned into a 36-year journey of scientific discovery that continues to extend across the realms of chemosensory science. With numerous influential publications in prestigious scientific journals, Wysocki, who retired late last year, put his stamp on the science of smell – and beyond. Weaving though much of his work was a desire understand individual differences in the perception of smells, a quest that was aided by his capacity to identify and use multiple approaches to achieve that understanding. Chuck and his entire family have been a fixture at Monell events throughout the years. 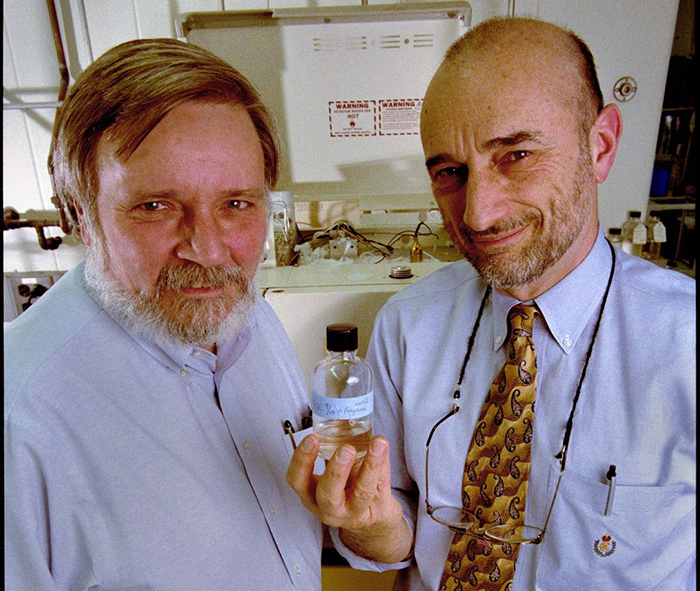 One of Wysocki’s first projects at Monell focused on specific anosmias – the inability of a portion of the human population to detect certain odorants. One such compound is androstenone, which about 50 percent of people are unable to detect. In 1984, Wysocki and Beauchamp reported that identical twins are essentially identical in their ability to smell androstenone, thereby proving a genetic basis for this anosmia in humans. Wysocki himself was among those unable to detect androstenone, which frequently is described as strongly urinous by those who can smell it, so he assigned himself the task of preparing androstenone solutions for experiments. However, after a few months of working with the compound, he realized that something had changed – he had acquired the ability to smell androstenone. This serendipitous observation led to extensive rigorous experimental testing and eventually to a second highly-cited publication. “These seminal studies expanded our understanding of the varied factors that contribute to individual differences in olfactory perception,” notes cognitive psychologist Pamela Dalton. The finding of induced olfactory sensitivity opened the doors to further exploration of how genetic regulation of olfactory receptors is fine-tuned by the environment. Decades later, the implications of these findings continue to reverberate through Monell’s hallways. “Chuck’s work had an enormous impact on the direction of my scientific career,” states olfactory neuroscientist Joel Mainland. Only an infant when Wysocki bought that green leisure suit, Mainland’s ongoing work to understand the genetic underpinnings of olfactory coding is informed by Wysocki’s early studies. Wysocki likes to think big – sometimes really really big. In 1985, he and colleague Avery Gilbert teamed with National Geographic magazine to ask people around the world about their sense of smell. Using a self-administered scratch-and-sniff smell test inserted into the magazine, they asked readers about their ability to detect and describe six different odors. 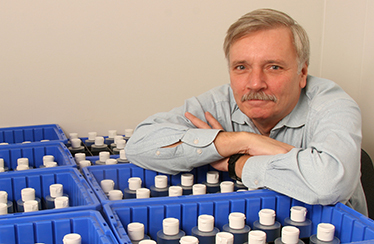 Over the past two decades, Preti has been Wysocki’s most frequent collaborator, with a research focus on human body odors. Their work extends from defining individual differences in perception to identifying behavioral and physiological functions of odors from different parts of the body. 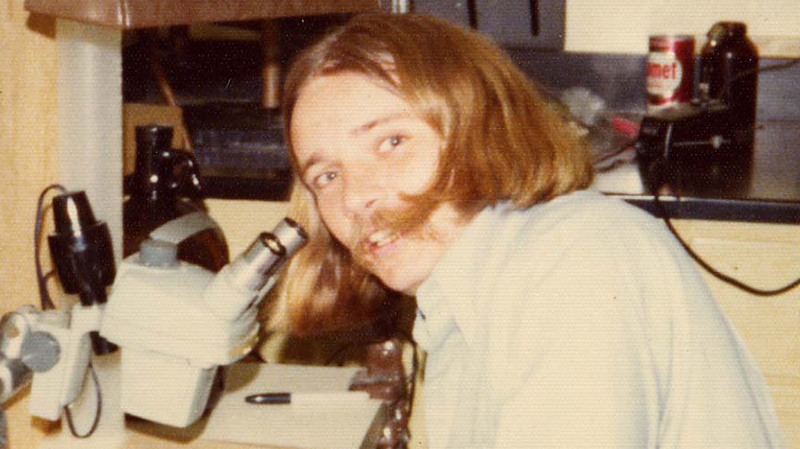 Wysocki’s contributions to chemosensory science involved more than collecting data – he also collected and nurtured upcoming scientists. Director of Monell’s NIH-funded Training Grant for almost 25 years, Wysocki was responsible for bringing hundreds of promising postdoctoral fellows to the Center for training in the chemical senses. “Chuck’s legacy is extensive,” says Beauchamp, noting that many scientists trained at Monell under Wysocki’s watch now hold productive positions in academia, government and industry worldwide. Others didn’t leave, including two current faculty members who worked directly with Wysocki as postdocs. Both credit Wysocki’s mentorship as being influential to their professional development. “Chuck continually inspired me to tackle challenging projects and master new skills,” says Dalton, whose groundbreaking studies on the influence of cognitive bias on odor perception took root during her postdoctoral days in Wysocki’s lab. Psychophysicist Paul Wise agrees. “Chuck was able to balance solid guidance with the freedom to pursue and develop my research ideas,” says Wise. Indeed, the two have published 11 papers together that reflect yet another area of Wysocki’s expertise: the third chemical sense, chemesthesis. Some view retirement as an opportunity to sit back and smell the roses. Others view it as a time to discover their true passion. Wysocki – who’s been known to describe his work as his hobby – falls into neither camp. Frequently sighted in the halls of Monell, he continues to write and consult with his colleagues. While that green leisure suit is (hopefully) gone, Chuck Wysocki’s enveloping delight in scientific discovery remains strong, much to the benefit of chemosensory science – and Monell.